If you suffer from headaches, the answer may be in your hands, literally. 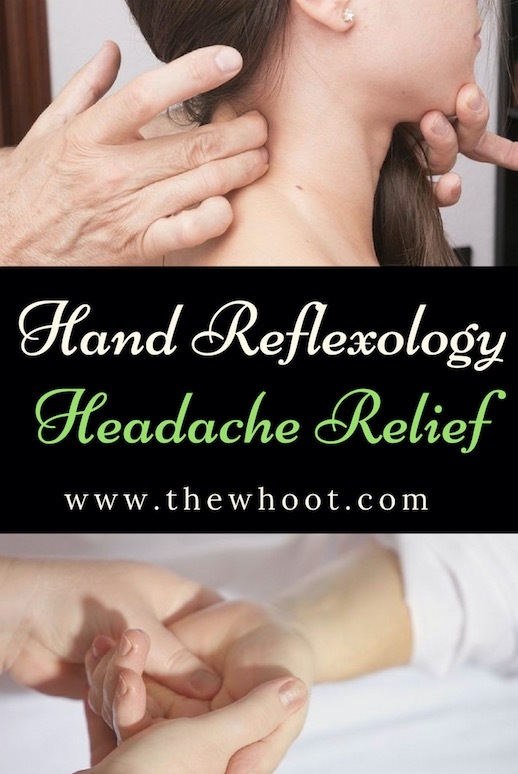 Learn this hand reflexology headache relief tip and see if it makes a difference. Watch the video now. If you suffer headaches or migraines, you know just how debilitating they can be. Our post that includes loads of natural remedies, is one of the most popular on our website. Today we are sharing another headache relief tip that we hope you can use. It involves hand reflexology and there is plenty of feedback on the instructors youtube page to suggest it works. This excellent chart from Eduwell shows you the major points in your hands for your acupressure points. You can see how to access all the different areas of your body through your palms. Be sure that you Pin this great infographic and scroll for video. Helen Chin Lui is a Certified Reflexologist, Certified Energy Medicine Practitioner and a Reiki Master Teacher. She is certainly well qualified to discuss this technique with us.